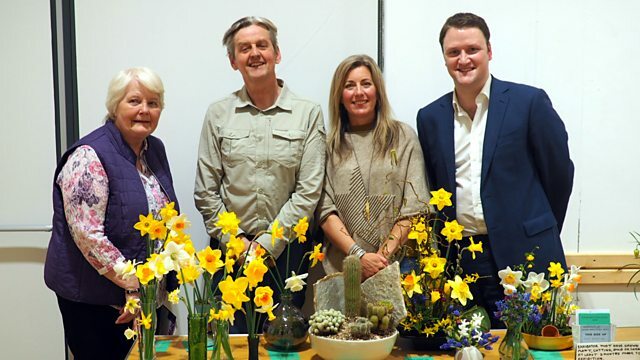 This week the Gardeners' Corner roadshow comes from Bangor and answering questions from members of Bangor Horticultural Society are experts Brendan Little and Cherry Townsend. This week the Gardeners' Corner roadshow comes from the seaside town of Bangor in Co Down. On the panel Brendan Little and Cherry Townsend who answer questions from members of Bangor Horticultural Society. Lots of gardening advice on everything from the perfect plants for seaside gardening to organic sprays for roses and help on how to deal with the dreaded honey fungus and also in the programme tips for the gardening week ahead.